Love Lulu Frost. 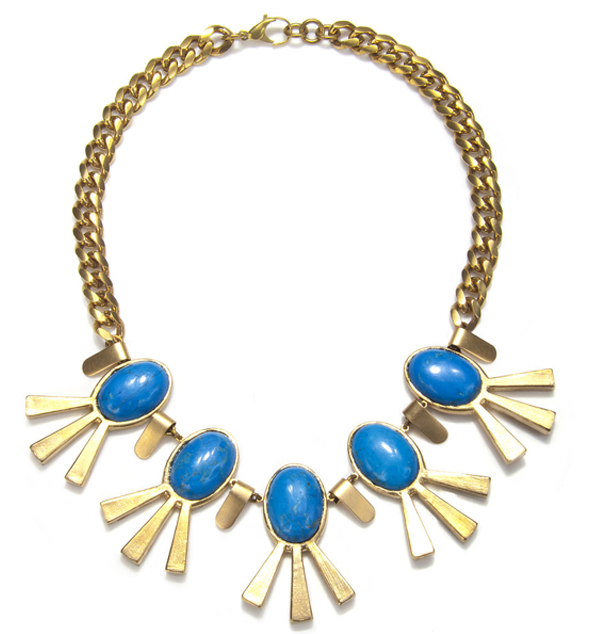 This necklace is the perfect “statement” necklace! Wow that is amazing. Would love to have that in my jewelry box!!! Such a gorgeous necklace! Love the cobalt and gold – perfect combo. This necklace is stunning, love it!